You know that smartphone that’s always right within your reach? It emits a certain amount of radiation in order to operate. Studies show that about half of that radiation can be absorbed into your head and body. Instead of waiting around to find out the long term effects of this type of exposure, the folks at Pong Research have developed the Pong Case—a scientifically proven way to redirect radiation away from you. As an added bonus, this redistribution of energy optimizes signal strength resulting in improved reception and battery life. Available for smartphones and tablets, the Pong Case doesn’t just protect people -- the Rugged Case is drop-tested to U.S. military specifications. If you’re going to buy a case to keep your device safe, why not err on the side of caution and select one designed to keep you out of radiation's way. Radiation reducing case for the iPad Mini and Air. The only case that redirects wireless energy away from you. I currently have a Motorola Maxx HD, and would defintely buy this for it, if you had it avaialble. This is cool! Are you going to make one that fits a Galaxy S3? Gotta love a .99 cent phone - lol. @Karen We do make a case for the Samsung Galaxy S III. However, we only feature the case for Verizon customers only. Each one of our cases is specifically designed to work in direct conjunction with the cell phones battery and antenna source. It is the different placement of these two important parts that differs between cell service providers. @Brendon How about the Galaxy S3 Note from Verizon? @Guest Currently there are no plans to release a case for the Samsung Galaxy Note II in Verizon. Do you have plans for a case for the HTC One M8 and the Samsung Galaxy S5? Any plans for the Sprint Galaxy S3? Currently there are no plans to release a case for the Motorola Maxx HD. Please note that our intent is to make devices for all cell phones. Unfortunately because of the engineering that is involved, paired with the popularity of certain phones makes this decision quite complicated. I love this idea. Any plans to offer a 5c case in the future? @Stefanie Thank you for your question. Currently there are no plans to release a case for the iPhone 5C. Please note that our intent is to make devices for all cell phones. Unfortunately because of the engineering that is involved, paired with the popularity of certain phones makes this decision quite complicated. Thank you for your question!! 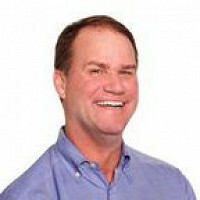 Noting for those of us with Sprint? @Guest Our case for the iPhone 5/5S can be used with the Sprint cell service provider! Do you have any plans for a case for a Samsung Galaxy Note 2? @Gail We are always looking to expand our product line. Currently, there are no plans to release a case for the Samsung Galaxy Note 2. Do you know when you will have a case for the new Galaxy S5? @James - As you might know, Pong engineers each case specifically for each device. Quite a bit of research and design goes into optimizing the case for the Samsung Galaxy S V's internal antennae structures, so it’s going to take a little while. As we speak, our (affectionately called) nerds are hard at work engineering. Rest assured, we will not let them sleep until they do. Hi Brendon, does the "shield" act as a deflector and, if so, how does that help with reception and battery life? @Guest Unlike shields or deflectors, Pong internal antenna actually work with, not block, your cell phones internal antenna structure. In doing so, not only will you notice an increase in outgoing cell signal, but you will also have the piece of mind knowing that the case is redirecting the energy away from your head and body. @Edith Hello Edith and thank you for your question. Currently, there are no plans to release any HTC phone cases. But we appreciate your interest. @traci thank you for your question! Currently, we do not produce cases for the iPhone 4. Hi Brendon! I'm delighted someone has come out with these covers! We have an iPad 3 that my son uses a fair amount. We don't allow him to hold it on his lap when playing, but would love to buy one of your covers for it. Any chance the Air cover will fit an iPad 3?? @Melanie So nice to meet you. Each one of our cases is specifically designed for the device that they encapsulate. The best way to find out about this product through Pong Research is to contact The Grommet Customer Service team. Thanks, Brendon. For anyone who is interested in contacting our Customer Service, team this link is the best way to get in touch. On a technical level what is going on to ... can I say ... redirect the wireless energy/signal away from the user? Are you redirecting the signal/energy and if so how does it work at a high level? @Scott I perused your website and read the Wired article, but couldn't find that information. @Scott - Pong technology works by redistributing a cell phone’s near field electromagnetic field, to reduce the amount of microwave radiation being absorbed by a user’s head and body. 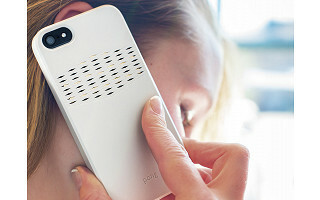 As well as redirecting radiation away from the user, the Pong case also disperses or spreads the near field, so that even on the back of the phone SAR (for example in your hand) is also reduced. Although, the total field intensity of microwave radiation may increase in the direction away from the user, it is not in a focused beam, so the risk to nearby people or body parts is minimal. Thanks for the tech question! @Guest Thank you for your question!! Currently there are no plans to release a case for the LG-E617g. Please note that our intent is to make devices for all cell phones. Do you have a case for the Samsung s4 Mini or will there be one soon? @Dee Currently there are no plans to release a case for the Samsung Galaxy S IV Mini. Please note that our intent is to make devices for all cell phones. Rugged case is drop-tested to U.S. military specifications. What exactly does this mean. If you dropped it the screen won't break, is it waterproof? @Brenda You are correct, each of our cases is designed to withstand a drop of up to six feet, and have survived an independently certified military drop test to prove as such. To pass MIL-STD-810G, Method 516.6, Procedure IV an iPhone 5 in a Pong Rugged case was dropped from a height on each of its six faces, 12 edges and eight corners, for a total of 26 drops. There was no damage or loss of function on the phone. However, cases are not waterproof, so please, no dunking. @Brendon How "rugged" is the regular case? Do you make a Pong case for Samsung Galaxy Active SGH-I537? The regular Galaxy S4 cases are too small for the Active phones. @Tommie Thank you for this question. Currently, Pong Research is not producing the Samsung Galaxy Active phone. We do not suggest placing a case that is not specifically designed for the phone it will be encapsulating. Like Scott, I would like to better understand how this device works, especially how much of the total radiation is directed away and what the evidence of that is. thanks! @Linda Thank you for this. Embedded within every Pong case is custom engineered Coupled Antenna System (CAS). Every CAS contains a flexible Printed Circuit Board (fPCB) consisting of an array of conductive planar elements on a polyamide substrate. The materials are carefully chosen for their electrical properties. Pong’s CAS is precisely engineered in size, shape and relative position unique to the characteristics of your specific mobile device’s internal antenna(s). 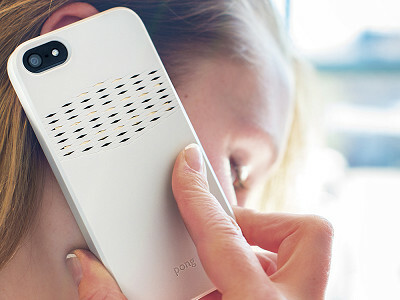 When a Pong case is placed onto your mobile device, an electric field is established between the Pong CAS and the mobile device’s internal antenna. Consequently, the mobile device’s emitted radiation is steered towards the Pong CAS and away from your head and body. Through the judicious placement of the CAS within the Pong case, your mobile device’s radiation is redirected and redistributed which reduces your exposure to the cell phone radiation. Please note that we test all of our products in the same independently verified, FCC certified laboratories that the major cell phone companies test in as well. It seems that when you're holding the phone to your head, your hand will receive a stronger and more concentrated wave of radiation....possibly causing more radiation damage to your hand. What are the FCC tests of people's hands receiving this extra concentrated dose of emitted radiation? Pong is a product I need badly. I am one of those rare people who can FEEL the cell signal, which causes ear burning and pain when I use it for more than 3 minutes! Your video shows that the Pong slides onto the outside of the phone. How does this provide protection for the hearing side? @Victoria Our cases are designed to work with the cell phones battery and antenna source, both of which are located in the back of the phone. Our case pairs up with your cell phone to decrease your exposure to the cell emissions without the use of additional wires or batteries. Our case steers your cell phones emitted energy towards the specifically designed coupled antenna system and away from your head and body. Would love to have this for my new galaxy s5 will it be available soon? @PAT So nice to meet you. Each one of our cases is specifically designed for the device that they encapsulate. I use a iPhone5 flip case that has slots for ID, credit cards, etc. Will your Pong case fit into this case so I can still use my flip case? I love my flip case because it has a clip that can attach to a chain - so I will never drop my phone or lose it in the recesses of my bag. Perhaps that can be a future offer? Aaron from The Grommet here. Unfortunately, the Pong Case fits snugly onto a naked iPhone 5/s, so it will not fit with your flip case. I will certainly pass along the idea, though! What a wonderful product is there one for my new phone? Motorola Moto G 4.5" Touchscreen from Boost Mobile? Unfortunately, Pong Research does not make a case for that model at this time. Hi Guest, I will find out for you. "As you might know, Pong engineers each case specifically for each device. Quite a bit of research and design goes into optimizing the case for the Samsung Galaxy S V’s internal antennae structures, so it’s going to take a little while. As we speak, our nerds are hard at work engineering. Rest assured, we will not let them sleep until they do. We will be sure to let you know as soon as it’s announced. I really really want to believe it works but am slightly hesitant. Years ago I purchased a dot that fitted over the ear piece of my mobile which was said to reduce radiation. On getting it tested it was found to actually increase the radiation because it had to work harder to penetrate the actual dot. How have you over come this?? I practically have my mobile pressed to my ear 8 hours a day and I'd do whatever necessary to lower the risk. I've reached out to Brendon for a response. Hang tight! "As for the shields that you can place onto your phone that supposedly reduce your cell phones radiation. On its website (http://www.ftc.gov/search/site/radiation%20shield) , the FTC specifically warns consumers against "radiation shields" such as the one you had purchased. There's a reason for that. Radiation "shields," such as the one you purchased, claim to reduce SAR, but what they really do is reduce the radiated power of your phone in ALL directions. You can do the same thing by putting your phone in a microwave oven. You will reduce radiation exposure, but also your signal. That's because "signal" and "radiation" are basically the same thing. It would be like, for example, claiming to make cars safer by giving them square wheels, so they can't drive as fast. Technically, it may be true, but it's completely counter-productive. Of even greater concern is this: Radiation shields such as the ones available similar to the one you had purchased may come with other negative consequences. When a cell tower recognizes a weakened signal such the one these shields create, the tower instructs your phone to output more power to compensate. The result is that, ironically, your exposure to wireless energy could actually increase using shields, and your battery drains faster, too. Pong cases works in a totally different manner based on different technology. When you put a Pong case on your phone, it actually takes the wireless energy that would otherwise be wasted and redirects it so it can be used for outbound signal (the signal to the tower). (remember radiation and signal are basically the same thing). In the car metaphor from above, it's more like Pong uses regenerative braking: it protects you in a way that also helps your car allowing the energy that is otherwise wasted to be used for more productive uses. We think that's pretty cool." Do you have the case for iphone 4? Unfortunately, Pong Research does not currently offer a case for the iPhone 4. You know that smartphone that’s always right within your reach? It emits a certain amount of radiation in order to operate. Studies show that about half of that radiation can be absorbed into your head and body. Instead of waiting around to find out the long term effects of this type of exposure, the folks at Pong Research have developed the Pong Case—a scientifically proven way to redirect radiation away from you. As an added bonus, this redistribution of energy optimizes signal strength resulting in improved reception and battery life. Available for smartphones and tablets, the Pong Case doesn’t just protect people -- the Rugged Case is drop-tested to U.S. military specifications.